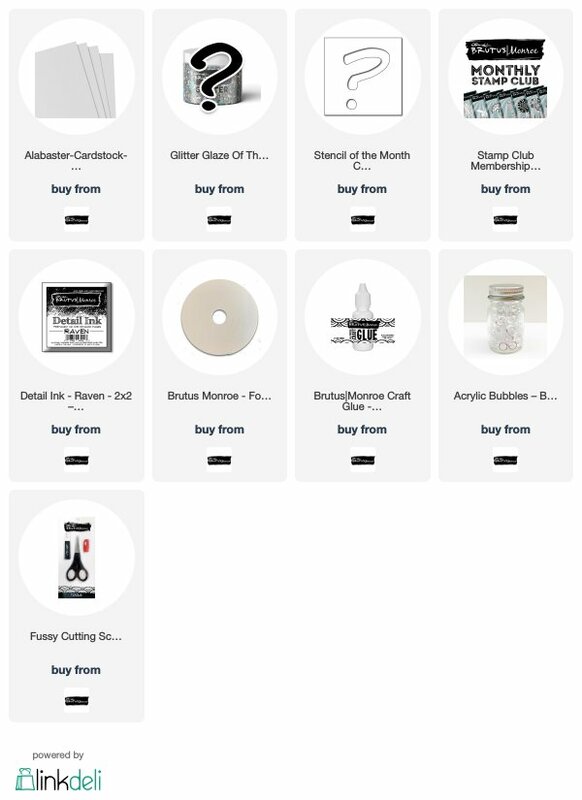 Hi crafty friends, thanks for stopping by! 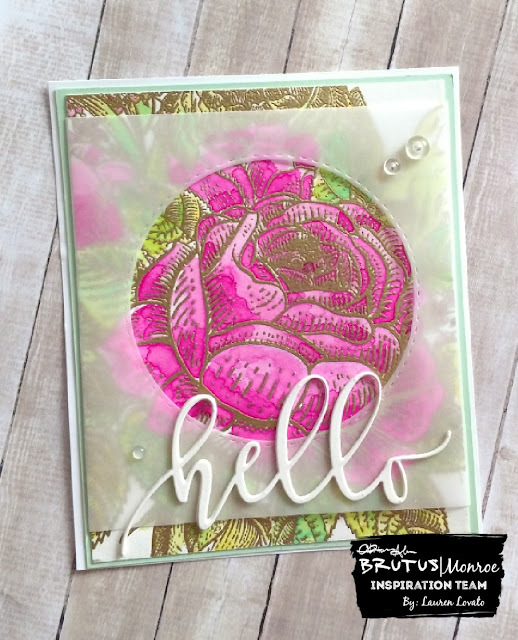 Today the Brutus Monroe inspiration team is blog hopping with some of the subscription products for March. 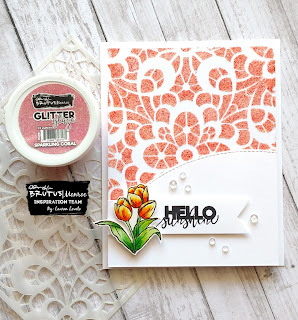 My project used the stencil of the month, glitter glaze of the month and the stamp of the month! I die cut the curved shape from a piece of Alabaster cardstock and used foam tape to pop it up on the bottom of the glitter glaze panel. I positioned the tulips onto the end of the banner sentiment, also with foam tape, and then popped the banner up, again with foam tape. Although the card is simple, it has a lot of nice dimension in person because of the various layers of foam tape. 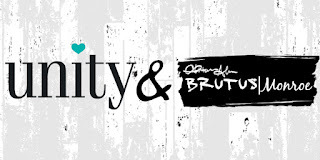 Have you tried any of the Brutus Monroe subscription items yet? 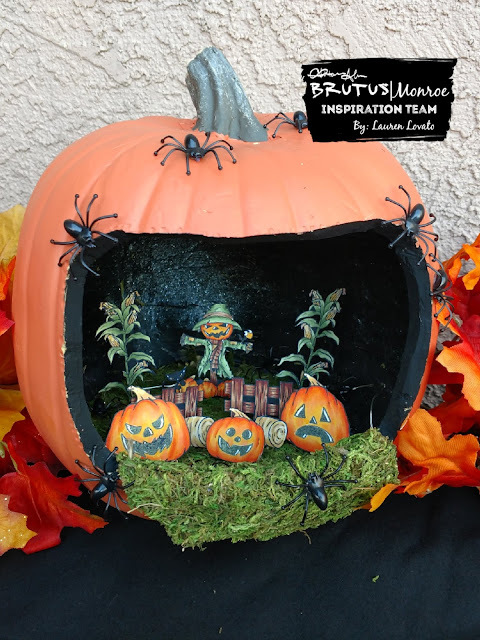 Share your creations on social media, and be sure to use the hashtags #BrutusMonroe and #CreateYourOwnEnding so we can see what you make! 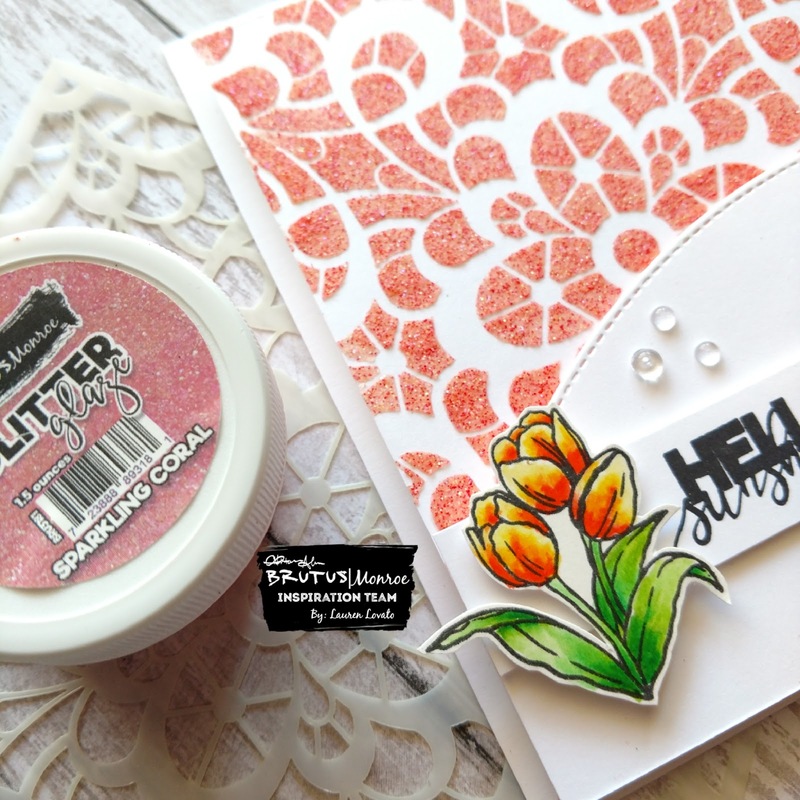 Hop over to Berina's blog next to see her gorgeous project.